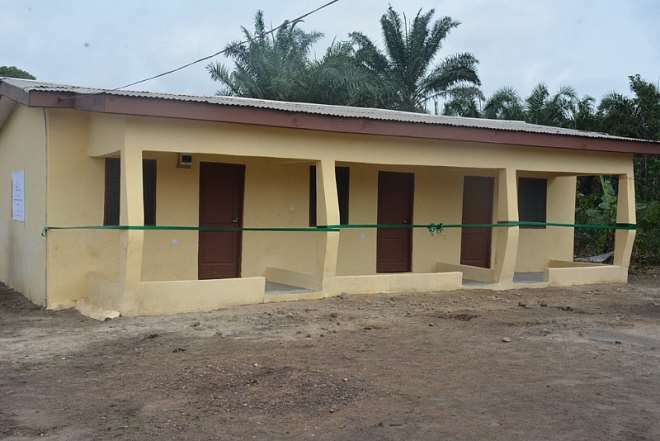 The Mining Department Senior Staff Welfare Association of AngloGold Ashanti (Iduapriem) Limited which operates the Iduapriem Mine has constructed a three-unit staff bungalow for Kwame Tsentsen M/A School in the Prestea Huni Valley Municipality. The project, which was started by the community, was stalled at an early stage for many years due to lack of funds until the employees of the mine mobilized GHc20,000 to complete the building. The construction of the bungalow is expected to help improve the quality of teaching and learning and ease the burden on teachers who had difficulties accepting postings to the school over accommodation challenges. Speaking at the commissioning and handing over ceremony, Senior Manager – Mining for Iduapriem Mine and Patron of the Welfare, Mr Stephen Asante Yamoah, said they were touched by the plight of the school and motivated by one of AngloGold Ashanti’s (AGA) core values to undertake the project. He assured the community and the school authorities that the Iduapriem employees would continue to offer them the needed support in line with AGA’s social investment and education improvement programmes. 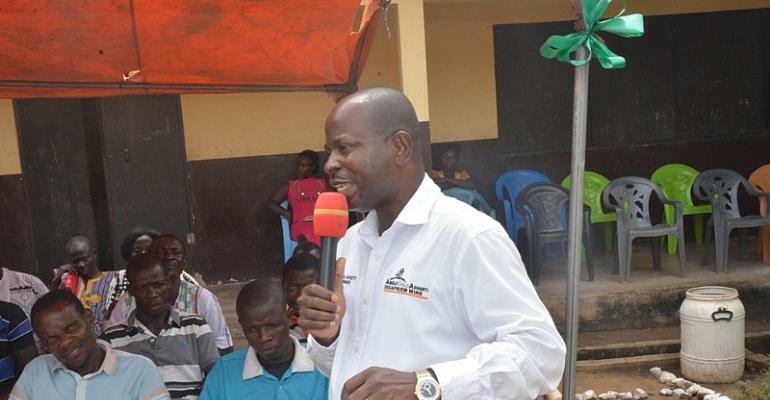 Mr Yamoah also called on other workers to come to the aid of communities and schools facing similar challenges. The Headteacher of the School, Mr Frederick Archer, was grateful to the Association for the kind gesture, and called on them and other benevolent organisations to assist the school acquire computers to facilitate effective teaching and learning of Information Communication Technology (ICT) in the school. Circuit Supervisor for Awudua, Mr Stephen Teye Zuta, who represented the Municipal Education Director, commended the Iduapriem employees for the project and noted that most teachers were hesitant in accepting postings to the school over lack of accommodation. He, therefore, admonished the headteacher, the School Management Committee (SMC), teachers and elders of the community to take good care of the building and keep it in good shape at all times. In attendance at the handing over ceremony were the Assemblyman for the Petepom Electoral Area, the chief and his elders, members of the community, old students, teachers and the school pupils. Our mission is “To create value for our shareholders, our employees and our business and social partners through safely and responsibly exploring, mining and marketing our products. Our primary focus is gold, but we will pursue value creating opportunities in other minerals where we can leverage our existing assets, skills and experience to enhance the delivery of value”.